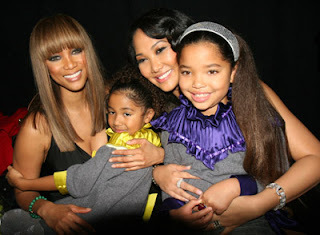 Kimora Lee Simmons and her ultra glam little girls Aoki and Ming Lee and the Baby Phat Fashion Show this weekend. 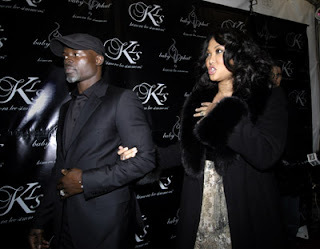 Kimora and Dijimon were getting their cute couple on...word has it they are engaged! Kimora's BFF Tyra Banks who is also Ming Lee's godmom came out to support. Looks like fun times were had by all.